The Naples Spartans sing their fight song at Pelican Larry's in North Naples after a TD against arch-rival Michigan. 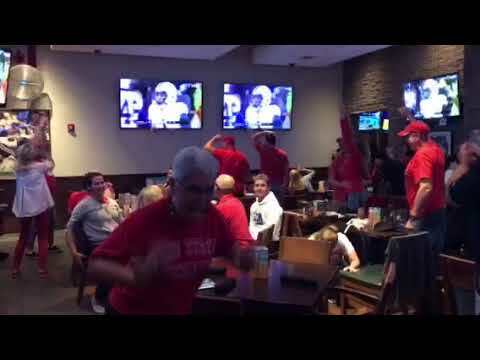 Naples Buckeyes celebrate at Bokamper's after Ohio State's late TD against Penn State. 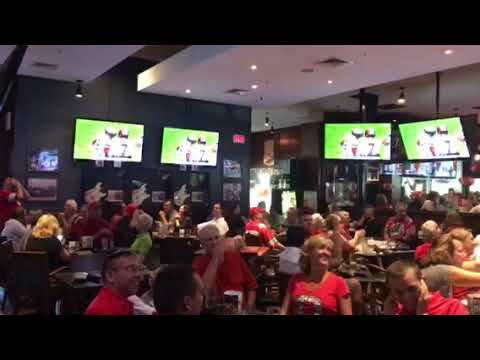 Ohio State fans at Bokamper's celebrate a touchdown against Michigan. 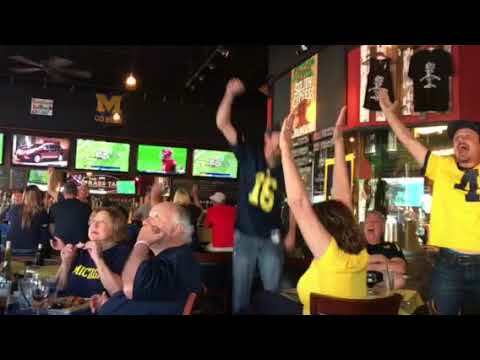 Michigan fans at the Brass Tap celebrate a delayed touchdown call against Ohio State.